Inspired by the family, friends, and experiences that make us rich, Element 79 Vineyards was born of our love of wine, winemaking, and the opportunity to follow our dreams and immerse ourselves in the winemaker lifestyle. Many years ago, we would come to the Fair Play area to find our perfect Christmas tree. 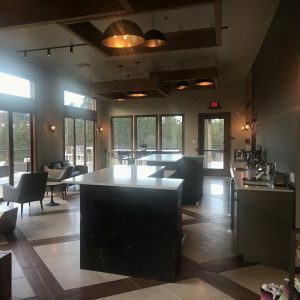 During these excursions, we fell in love with the area and dreamed of one day owning a vineyard in El Dorado County. Gold, the 79th element on the periodic table, was the inspiration for our name. More than just the symbol for the gold on the vine and in the bottle, the name was also inspired by our love of the region and a recognition of its importance in our nation’s history as the location that began the legendary California Gold Rush. Most importantly, 1979 was the year that we were married and began the partnership that has made us rich in life and gave us the opportunity to achieve our dreams. We have a wine for everyone: rose, chardonnay, viognier, zin, syrah, cab, petite sirah, and red blends!